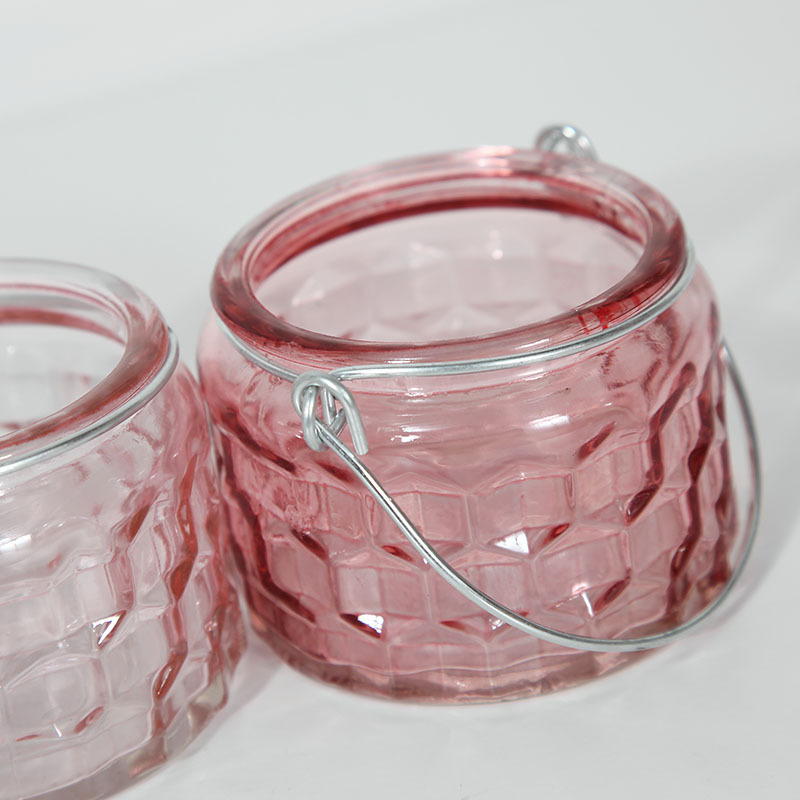 Add a girly touch to your home decor with this pair of pink glass tealight candle pots. Perfect for a girly bedroom or boudoir. In 2 assorted colours of light pink and dark pink, these make an excellent accessory and gift idea. Round glass jars with cut glass patterning and a silver metal handle. These are perfect for holding a little tealight or use for storing makeup and bits and bobs. Use freestanding or hanging from the metal handle. 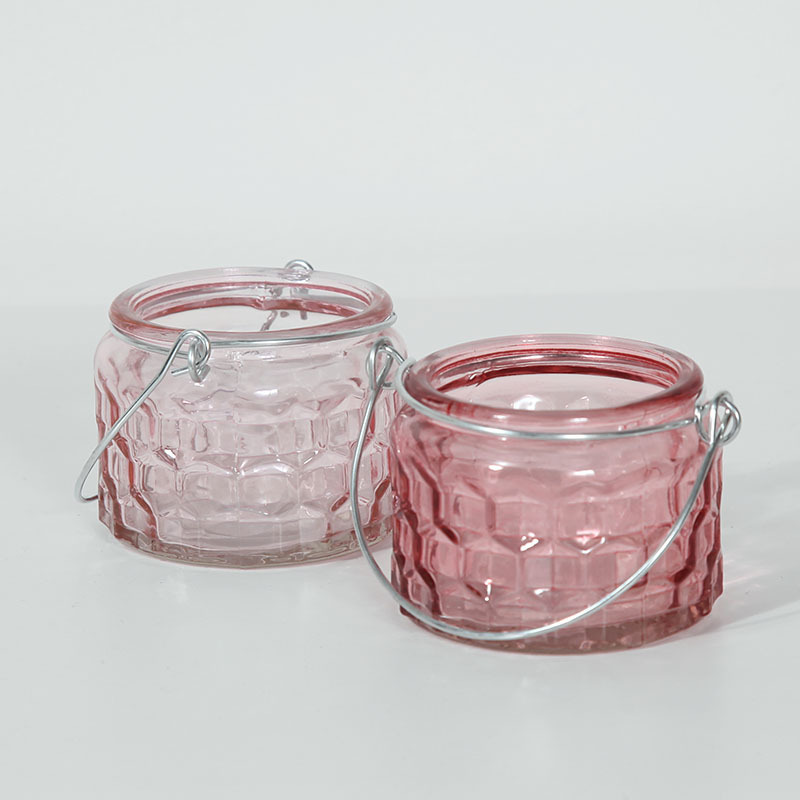 Add a girly touch to your home decor with this pair of pink glass tealight candle pots. Perfect for a girly bedroom or boudoir. In 2 assorted colours of light pink and dark pink, these make an excellent accessory and gift idea. Round glass jars with cut glass patterning and a silver metal handle. These are perfect for holding a little tealight or use for storing makeup and bits and bobs. Use freestanding or hanging from the metal handle. Each pot is made from glass in a shade of pink with silver metal handle.